Plan ahead and master getting a healthy dinner on the table this week. Cooking at home has major benefits. People who cook at home more tend to have healthier diets. They eat more vegetables, salads and fruits and take in fewer calories. The problem? Weeknights can be crazy—whether you work later than you planned, have hungry kids waiting less than patiently, get stuck in traffic or all of the above. That's where meal planning really helps you get a healthy dinner on the table and eat better breakfasts and lunches. So how can cooking at home become more convenient and less of a chore? These seven meal planning tips will help you get started on your way to eating healthier this year and becoming a meal prep master. Make a solid plan for the week: what to eat, when to eat it, and what ingredients you need. Set some time aside at the beginning of the week. 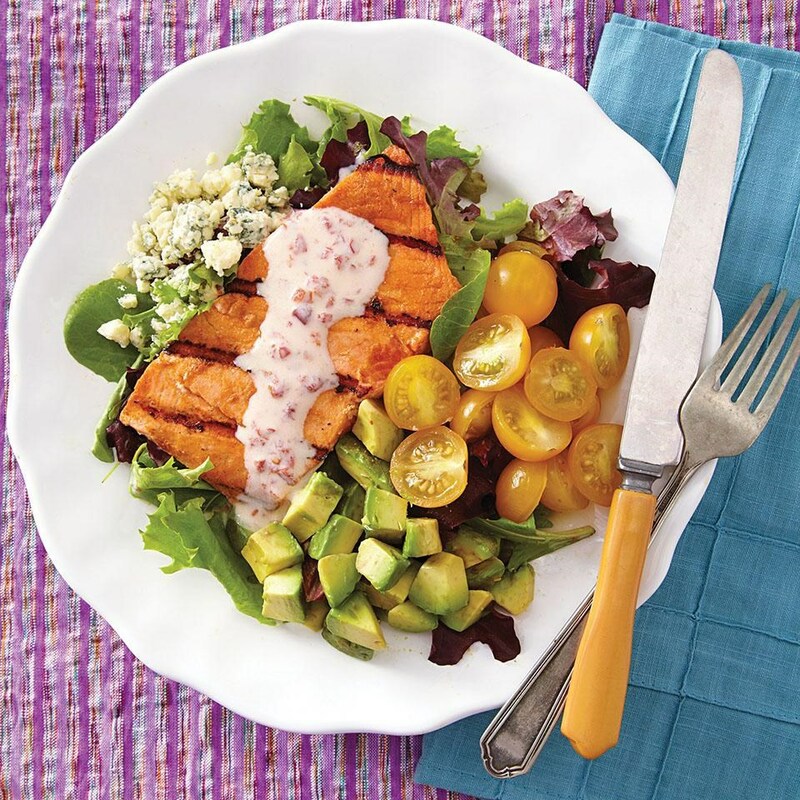 You can follow one of EatingWell's meal plans or dinner plans or customize your own. Don't forget about breakfast, lunch and snacks. 2. Prep your veggies ahead. Making a stir-fry or veggie fajitas becomes a lot faster when your vegetables are prepped and chopped in advance. If you know you need a sliced pepper and onion, slice them the day before and store them in your fridge until you start cooking. If you're really short on time buy pre-cut vegetables at the store. 3. Turn dinner into lunch. It might seem obvious to pack straight leftovers from dinner for a healthy lunch but you can get creative with it. Add cooked meats or tofu to a salad or pita pocket, use pesto from pasta night as a sandwich spread for a tasty lunch. Taco night leftovers make amazing and flavorful salads. Roasting a chicken for dinner? 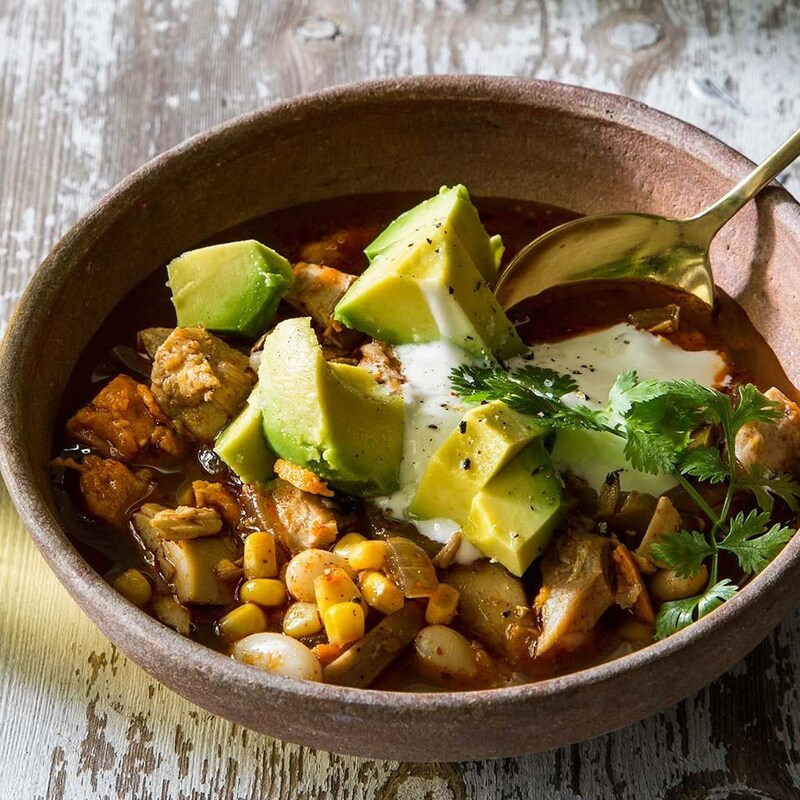 Roast two and turn leftovers into Chicken Chili with Sweet Potatoes or get creative with 57 delicious and healthy ways to use leftover chicken. If dinner on Tuesday calls for brown rice as a side, make extra rice to use for Stuffed Peppers later in the week. If you're making roasted vegetables, toss them with different sauces or dressings to change up the flavor. Make salads for lunch with different toppings each day. Cook a big pot of oats and stir in different mix ins for breakfast. Add some variety so you won't get bored. 5. Use more perishable ingredients first. American families throw away about $30 of food each week! 30-40% of the food we buy ends up in the trash. That's bad for your wallet and bad for the planet. And it stinks to spend money and time prepping food only to find that it has gone bad before you could use it. Factor that in to your meal plan and use more delicate salad greens first, and heartier vegetables like squash towards the end of the week. Meats and fish also have a short shelf life. 6. Take advantage of your slow cooker. Wouldn't it be nice if someone spent the day cooking for you? A slow cooker is the next best thing (and about as close as I'll ever get to a personal chef). It cooks dinner while you get other stuff done. 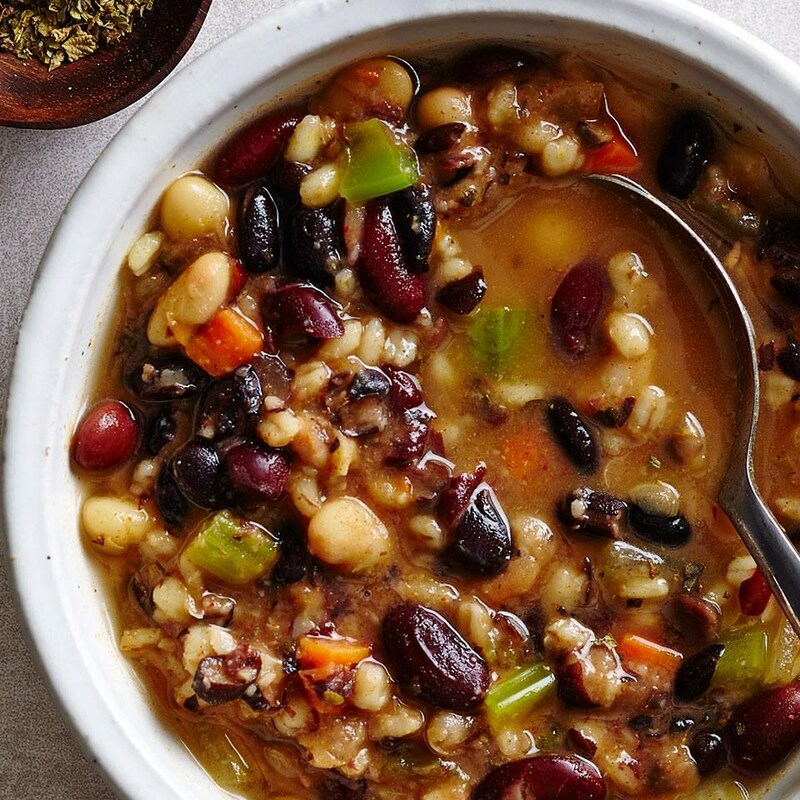 Get our healthy load-&-go slow cooker recipes for super convenient meals or get inspired by our most popular slow cooker recipes. Putting all your ingredients in a freezer bag is a smoothie solution for busy mornings. Dump your supplies into your blender in the morning, add your liquid and you're good to go.